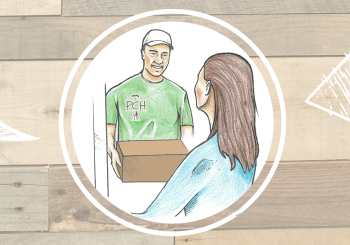 Box Selection Page (FROM HIW PAGE) :: Pacific Coast Harvest - Home Delivery of Local Organic Produce. A selection of veggies including greens, root veggies, herbs and aromatics. 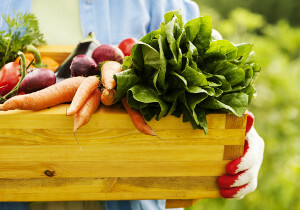 Get our maximum variety with a mix of seasonal fruits and veggies. Fly your state flag high with our most stringent local requirements. Only PNW vegetables need apply to be in this box. Choose one of our three box types: the half and half box, the veggie box, or the Washington box. Each are available in a variety of sizes designed to fit your household. 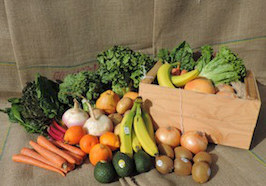 Each week we look at what’s in season and choose 12 local organic items for each box. We let you know ahead of time so you can customize to suit your needs and pick any add-on items like local coffee or snacks. Each week your delivery comes on the same night after 7pm. 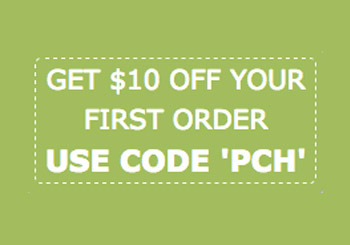 We deliver to your porch, or can bring it right to your door. Choose for us to deliver weekly or every two weeks. Change your mind at any time. It’s easy to pause for a vacation, or cancel completely. You're in control.